In a decision last month that seems to have gone a bit under-reported in the trade press, the European Food Safety Authority (EFSA) announced that it could not reach a conclusion on an application from Syngenta Crop Protection AG for the approval of the use of Syngenta’s Enogen® corn in food and feed. While fully in line with the reluctance of the EU and its member states to allow commercial growth and food uses of transgenic plants and their products, this represents another setback in the long saga of Syngenta’s development of this modified corn variety. I’ve described Enogen corn in earlier blog entries, including a post on February 14, 2011 when the corn variety was approved by the U.S. Department of Agriculture for commercial cultivation in the U.S. As described in my earlier posts, Enogen, originally known as “Corn [Maize] event 3272”, is a variety of corn expressing two heterologous genes: the amy797E gene and the pmi gene. The amy797E gene is derived from three naturally-occurring genes and encodes a thermostable alpha-amylase which catalyses the hydrolysis of starch by cleaving the internal alpha-1,4-glucosidic bonds into dextrins, maltose and glucose. The pmi gene from Escherichia coli encodes the phosphomannose isomerase (PMI) enzyme, which allows the plant to utilize mannose as a carbon source. The expression of thermostable alpha-amylase directly in plant tissue can potentially lead to significant yield increases in production of corn-based ethanol. To my knowledge, Enogen is the only genetically modified plant variety that has achieved commercial approval in any industrialized country for use as a biofuel feedstock, and it has been approved for use in the U.S. and in a number of other countries. It appears to be doing well in the market – although sales figures are not readily available, Syngenta announced in June 2013 that Enogen is now grown by 300 growers covering more than 64,000 acres in the U.S., and is being used as a feedstock at eleven U.S. ethanol facilities. In addition to its USDA regulatory approval in February 2011, the company says that the U.S. Food and Drug Administration concluded its review of the food safety of the corn in 2007, which would clear U.S. use in animal feed (e.g., distillers grains) of corn residues remaining after ethanol fermentation. The ultimate (although time-consuming) success of the U.S. regulatory process is in contrast to the situation in the European Union, a region that has long been suspicious, if not downright hostile, towards proposals to use transgenic plants in agriculture and food. Enogen has not been approved for cultivation in the EU, and the recent regulatory action arises from an application first filed by Syngenta in 2006 to obtain approval to import Enogen corn grown elsewhere and allow it to be processed and used in human food or animal feed in the EU. Syngenta’s application was made to the European Food Safety Authority (EFSA) pursuant to EC Regulation Number 1829/2003, which governs the placing on the market of genetically modified organisms (GMOs) and foodstuffs containing GMOs, both for human and animal food purposes (click here for a summary of this regulation). 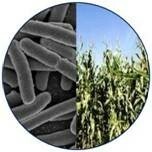 EFSA is the agency that is responsible for evaluating the food safety of GMO plants proposed for use in Europe. In delivering its scientific opinion, the EFSA GMO Panel considered the application EFSA-GMO-UK-2006-34, additional information provided by the applicant (Syngenta Crop Protection AG) and the scientific comments submitted by the Member States. The scope of application EFSA-GMO-UK-2006-34 is for food and feed uses and import and processing of maize 3272 and all derived products, but excludes cultivation in the European Union (EU). The EFSA GMO Panel could not conclude on the comparative assessment of the compositional, agronomic and phenotypic characteristics of maize 3272, on the basis of the data provided. In the absence of an appropriately performed comparative assessment, the safety assessment could not be completed and has focused mainly on the newly expressed proteins AMY797E and PMI. The AMY797E and PMI proteins did not show significant similarity to known toxins in bioinformatic analyses. The EFSA GMO Panel concluded that administration of the AMY797E protein to rats for 28 days did not induce adverse effects up to the highest dose tested. Based on all the available information, the EFSA GMO Panel considers that there are no indications that the newly expressed PMI protein in maize 3272 may be allergenic. In relation to the AMY797E protein, the EFSA GMO Panel could not conclude on the de novo sensitisation potential of the protein. [T]here is no requirement for scientific information on possible environmental effects associated with the cultivation of maize 3272. … However, … the EFSA GMO Panel concluded that there is very little likelihood of any adverse environmental impacts as a result of the accidental release into the environment of viable grains from maize 3272. In the case of accidental release into the environment of viable grains of maize 3272, there are no indications of an increased likelihood of spread and establishment of feral maize 3272 plants. In the absence of an appropriately performed comparative assessment by the applicant, the EFSA GMO Panel was not in the position to complete its risk assessment on maize 3272 and therefore does not conclude on the safety of maize 3272 compared with its conventional counterpart with respect to potential effects on human and animal health. However, the EFSA GMO Panel concluded that maize event 3272 is unlikely to have any adverse effect on the environment in the context of its intended uses. So, the panel reached favorable conclusions on the lack of toxicity of the introduced gene products, and for one of the gene products was able to conclude that there were no allergenicity concerns. And while not within the panel’s formal remit, it found no evidence that use of Enogen corn would have any adverse environmental effects. In spite of these favorable rulings, the panel could not reach an ultimate conclusion on food safety and has apparently asked Syngenta for additional data. This is apparently not an unusual outcome: EFSA’s own press release says that it has requested more data for 98% of the GMO applications it has received to date. In its public statement, Syngenta has said that it was “disappointed with the EFSA response,” but that it “remains committed to working with EFSA, including providing information based on sound science to allow EFSA to conclude the risk assessment.” Syngenta also noted that EFSA’s opinion was not related to the safety of the product. This decision, while no doubt disconcerting for the company, is in the abstract not surprising, given the extreme skepticism that European governments and the public have expressed towards any use of GMO plants on the continent. It comes on the heels of the recent disclosure by agbiotech giant Monsanto that it will no longer seek regulatory approvals for any genetically modified crop plants in Europe (with the apparent exception of one pending application), a decision which itself arises from many years of frustration with the EU regulatory system for transgenic plants and the many obstacles the system has placed in the pathway for commercial approvals. The impact of this decision on Syngenta’s business and on the overall ethanol industry is far from clear. As noted above, Enogen seems to be selling well and making significant inroads into ethanol markets in the U.S. And while there is certainly a substantial market for ethanol in Europe, especially as mandated under the EU Renewable Energy Directive (RED), long-term prospects do not look good for the use of cornstarch-derived ethanol on the continent. There is significant public and governmental sentiment developing against the use of food crops for the production of fuels, as evidenced by the recent proposals to place limits on the volume of food crop derived fuels that could count towards the mandated targets under the RED (these proposed amendments were described in a January post on Biofuel Policy Watch, and the most recent developments were described in a post earlier this week). By the time Enogen is approved for use in Europe (if that decision ever comes), regulatory pressures against corn-derived ethanol may severely limit the product’s market potential. With regard to the bigger picture, I’m not aware of any other GMO plant variety that is close to commercialization, for which the current European regulatory situation would pose an imminent problem. However, this won’t always be the case, and as transgenic plants, particularly non-food energy crops, become available in the U.S. and elsewhere for fuel production, the European Union risks shutting itself off from such technological innovations. On the other hand, GMO plants of nonfood species would by definition not require EFSA approval for use in Europe and may therefore face an easier regulatory path, although approvals under the biotechnology directives would be needed for growth or importation of such plants in Europe, which might also prove controversial. Some of my early (2010-11) posts on this blog discussed strategies being pursued to use advanced biotechnology to create improved varieties of crops, trees, and other plants for use in biofuel production, as well as the companies who have been active in this field (see links below). Although the timeframes for such research projects are inherently somewhat long, due to the need to conform to the life cycles (often annual) of the plants being developed and the need for several years of field testing at escalating acreage, research and commercial activities in this field have continued and progressed. One important driver for this activity has been the funding of the U.S. Department of Energy (DOE), including the Advanced Research Projects Agency-Energy (ARPA-E) division of DOE. Among the more prominent DOE efforts is the funding program initiated by ARPA-E in 2011 known as PETRO — “Plants Engineered To Replace Oil”. According to the PETRO website, the goals of this program have been to use advanced biotechnology methods to develop non-food crops that directly produce transportation fuel, at prices that are cost-competitive with petroleum. DOE says that at the present time, biofuel production is limited by both the inefficient capture of solar energy by plants and the inefficient processes they use to convert CO2 from the atmosphere into usable fuels.The PETRO program aims to redirect the processes for energy and CO2 capture in plants toward fuel production, to create dedicated energy crops that serve as a domestic alternative to petroleum-based fuels and deliver more energy per acre with less processing prior to the pump. More specifically, the program was set up to fund research efforts to genetically engineer new classes of crops that produce fuels which can be extracted directly from the plants themselves. The funded projects feature research on various plants–including pine trees, tobacco, sugarcane, and sorghum–to create molecules already found in petroleum-based fuels that can be dropped directly into the tanks of existing vehicles. The following are the programs funded by PETRO beginning in 2011, with links to project descriptions as found on the ARPA-E website. The PETRO program has been back in the news in recent months, because of DOE’s announcement that it intends to implement programs to support the field testing of “engineered high energy crops” (EHECs), including those developed with PETRO funding, and that in order to comply with the National Environmental Policy Act (NEPA) in doing so, DOE intends to prepare a Programmatic Environmental Impact Statement. Environmental Assessments and/or Environmental Impact Statements are required under NEPA for major federal government actions, and any DOE program to support field testing of genetically modified plants would likely be considered to be subject to this requirement. DOE first issued a public Request for Information in April 2013, and this was followed up with a June 21, 2013 Federal Register announcement formally stating its intent to prepare the Programmatic Environmental Impact Statement (PEIS) and inviting public comments on the proposed scope of the PEIS. There is a substantial amount of information about this effort available on the PEIS website, and although the public comment period is expiring soon (July 22), I thought it would be worth mentioning this effort in the blog. DOE anticipates that its program will include providing financial assistance for the field trials that are needed to evaluate the performance of EHECs. Such trials could range in size from small, development-scale (5 acres or less), to pilot-scale (up to 250 acres), and possibly also demonstration-scale, which could entail field plots of up to 15,000 acres. As DOE notes on the website, these field activities would likely require permits from the U.S. Department of Agriculture under that department’s biotechnology regulations administered by the Animal and Plant Health Inspection Service (APHIS) and would need to be conducted under conditions of “confinement” that are common in field tests of GMO plants, to limit their potential environmental impact. DOE currently plans to limit its funding activities to field trials that would take place in states in the southeastern U.S., including Alabama, Georgia, Kentucky, Mississippi, North and South Carolina, Tennessee, Virginia, and parts of Florida. During the course of the public comment period, DOE has held public “scoping meetings” in several states in the region, and also hosted a webinar on July 17. Public comments will be accepted until July 22 (with instructions for commenting found on here on the website), but comments submitted after that date will be considered to the extent possible. As I’ve previously discussed in the blog, efforts to develop improved plant varieties to use as biofuel feedstocks will likely prove very important for the ability of countries around the world to efficiently produce significant amounts of biofuels from non-food crops. Aside from Syngenta’s Enogen corn (expressing alpha-amylase and phosphomannose isomerase), there are no other genetically modified plant species yet being used in commercial fuel production in the U.S. or any other major market, although there are several examples of plant species improved through classical breeding that are being used or investigated for this purpose. In view of the history of controversies surrounding agricultural biotechnology, and in particular the history of USDA’s biotechnology regulations and the long record of NEPA litigation leveled against it, it is inevitable that biotechnology critics will pounce on any large-scale DOE program intended to support or promote field trials of engineered plants, and express concerns over alleged or hypothetical environmental risks. The route of proactively preparing a PEIS is probably the right one for DOE, and it is certainly wise to begin the effort at an early stage, to be sure that the needed EIS can pass muster under NEPA and be completed in time to enable the planned funding to go forward. It will be interesting to see what the range might be of the public comments DOE receives either during this scoping period, or when a draft EIS is eventually published for public comment. Strategies to Engineer Plants for use as Biofuel Feedstocks, January 25, 2010. USDA Regulations Affecting Use of Genetically Modified Plants as Biofuel Feedstocks, May 18, 2010. In late June, the U.S. Environmental Protection Agency announced the promulgation of a final rule establishing that biofuels made using two plant species – giant reed (Arundo donax) and napier grass (Pennisetum purpureum) – as feedstock would qualify as “cellulosic biofuels” under the Renewable Fuel Standard (RFS). This announcement was just the latest in a series of RFS rulemakings that EPA has announced during 2003, but it is notable because approval of the pathways for these two feedstocks had been delayed due to concerns over the potential invasiveness of these species. EPA’s announcement, made in late June but not yet, as of this writing, published in the Federal Register, was the third regulatory announcement under the RFS that the agency has made in 2013. Just recently, in May of this year, the agency issued a package of proposed regulatory amendments under the RFS, that included proposals for a number of new pathways, notably including production of butanol and several pathways in which landfill biogas is used to manufacture transportation fuels. Following Federal Register publication of this Proposed Rule on June 14, 2013, the public comment period is scheduled to end on July 15. Earlier this year, on February 22, EPA issued a Final Rule adding several new fuel production pathways to the list of approved pathways under the FRS, including the use of Camelina (Camelina sativa) oil as a feedstock for production of biomass-based diesel and naphtha and liquefied petroleum gas, and energy cane (certain hybrids derived from Saccharum spontaneum) as a feedstock for ethanol. The February rule-making was discussed in a bit more detail in an entry in my Biofuel Policy Watch blog. Notable in the February rule-making was EPA’s announcement that it had not yet reached a conclusion about whether to approve pathways for biofuels produced from giant reed or napier grass, in view of the comments it received from the public about the potential invasive nature of these species. The late June announcement indicates that EPA has reached a favorable conclusion about these species, and that the agency has determined that these plants can be used as a feedstock under the RFS, subject to certain conditions included in the Final Rule. The issues regarding these two species and their potential invasiveness have been widely discussed over the past several years (for example, this article on Arundo donax). I wrote about these concerns in a blog post in April regarding the broader issue of whether restrictions or controls were needed on the use of invasive or noxious plant species for biofuel production. There has always been concern over the potentially negative environmental consequences of the growth of invasive species, and the recent commercial interest in large-scale cultivation of nontraditional plant species for industrial purposes has once again brought such concerns into the limelight. Although there are federal and state laws in the U.S. regarding the growth or proliferation of invasive or noxious species, some observers have questioned whether such laws are sufficient to regulate large-scale commercial use of species that, in some environments, may have invasive characteristics. My April blog post discussed two academic papers analyzing the existing regulatory framework, and among my conclusions were that the cultivation of such species should be allowed as long as growers were required to follow best practices for growth management of such species. EPA’s decision to approve pathways under the RFS based on giant reed and napier grass followed a similar line of thinking, and for what I believe is the first time under the RFS the acceptance of the pathways was made contingent upon adherence to specified growing practices and related administrative requirements. First, EPA confirmed that it had conducted a life cycle analysis (LCA) for these pathways as required under the regulations, and has confirmed that biofuels made from these species would achieve the 60% reduction in greenhouse gas emissions that would qualify the fuels as “cellulosic biofuels” under the RFS. This analysis was based on EPA’s previous LCA for fuels produced from switch grass; but it is important in that cellulosic biofuels can generate Renewable Identification Numbers (RINs) having the greatest potential economic value, and because commercially-available cellulosic fuels are sorely needed to meet the yearly mandates under the RFS. So the availability of new pathways for cellulosic fuels is significant, especially since there is at least one commercial biofuel facility under construction that has been designed to use Arundo donax as its feedstock – this is the Chemtex plant being built in North Carolina (described in my earlier blog post about commercial-scale cellulosic fuel plants in operation or under construction). The significance of this decision for this planned 20 million gallon-per-year ethanol plant is evidenced by the fact that EPA’s approval in June was heralded by a press release from one of North Carolina’s two U.S. senators. However, in deciding to add these pathways to the list of approved pathways under the RFS, EPA has adopted additional registration, recordkeeping, and reporting requirements to minimize the potential risk of invasiveness. Specifically, in the Final Rule EPA is requiring that renewable fuel producers demonstrate that the growth of giant reed or napier grass will not pose a significant likelihood of spreading beyond the planting area or that such a risk will be minimized through an EPA-approved Risk Mitigation Plan (RMP). According to EPA’s Regulatory Announcement for this Rule, acceptable RMPs would include “plans for early detection and rapid response to potential spread, best management practices as modeled by existing state and federal invasive species management programs, continuous monitoring and reporting of site conditions, a plan for site closure and post-closure monitoring, and identification of a third party auditor who will evaluate the performance of the RMP on an ongoing annual basis.” The preamble to the Final Rule discusses existing federal and state regulations relating to management practices for invasive species, as well as voluntary best management practices such as the one developed for Arundo donax by the North Carolina Department of Agriculture and Consumer Services, the NC State University Cooperative Extension, and the Biofuels Center of North Carolina, which I discussed in my April blog post. What is interesting about this requirement is that, while clearly made in response to public commenters’ concerns over the potential invasiveness of these species, EPA has cast the decision in the context of the LCA for these pathways, specifically that these management practices were necessary to prevent these crops from behaving as invasive species which would require remediation activities that may cause additional greenhouse gas emissions, thus possibly causing the pathway to fail to meet the 60% emission reduction threshold. My opinion is that EPA’s resolution of this issue is appropriate. As I stated in my April blog post, I believe the correct approach to the use of invasive species is not to ban them outright, but to require that they be grown and cultivated in accordance with best practices to monitor and prevent possible invasive behavior: practices which already exist or are being developed by appropriate experts. I noted in April that in many cases, the use of such species would begin at small scale, and would gradually be phased into larger-scale cultivation, so that any potential problems could be identified and remediated before the species is used at larger scale. It is too soon to know the reaction to EPA’s decision from the environmental community or others who have expressed concerns over the use of invasive species, and it is of course too soon to know how workable the registration, recordkeeping and reporting requirements will be, and whether or not they pose an undue burden on growers or fuel producers. But EPA’s action seems to be a prudent resolution of the situation, at least for the present, with the understanding that the rule’s requirements can always be revised in the future based on early experiences with these crops. The prepublication version of the Final Rule can be found on EPA’s website. The Rule has been made effective as of its prepublication date of June 28, 2013, even though it has not yet appeared in the Federal Register.